I worked as the sole doctor for five years on one of the outer islands of the Southern Cook Islands, a Pacific Island Nation. The hospital with eight-beds had basic facilities and diagnostics only. We could not provide advanced Cardiac Life Support because there was no Defibrillator. During my stay on the island, I met a family of five: father, mother and three children – two daughters and one son, who faced three deaths in 4 consecutive years. The 8 year old boy became ill and when it became apparent that he was not improving he was transferred to Rarotonga, the main island, an hour’s flight away. He was found to have an abdominal lump and was referred on for further investigations and management to Auckland, New Zealand, which involved a 4 hour flight and crossing a national border. He was diagnosed there with Nephroblastoma (Wilm’s Tumor). Prognosis was very poor and he died at the Auckland Hospital, far from home. The whole family was devastated and shattered. His body was brought back from New Zealand to the Cook Islands to be buried. Blessings were received after this boy passed away and his mother gave birth to another son. They were all so happy to have a new member in the family. However, a year later, one of their daughters was killed in a motor vehicle accident; she fell off the moving car on the way back from school, sustained a severe head injury and was killed instantly. She was brought into the hospital with no sign of life. The parents were informed and they arrived at the hospital hoping against hope. Her mother held her tightly in her arms and said that she loved her so much - she did not even get a chance to say a few words before her daughter’s last breath. Her father was quite a strong man and we did not see him crying, but we all knew that he must have been crying in his heart. Bad luck came in a row to that family –the following year the father became sick. He was 54 years old at that time he presented with epigastric pain and weight loss. He had had the pain for quite a while but did not seek medical attention. Clinically, no positive findings were found and he was referred to Rarotonga for further investigation. There is plain X-ray and ultrasound at Rarotonga hospital but no complex imaging i.e no CT scan or MRI. A gastroscopy was done which showed gastric outlet obstruction and a diagnostic biopsy came back as ‘normal gastric mucosa’. However, his condition did not improve and serious discussions followed with the patient, family and the health team. The possibility was that the biopsy taken might have been insufficient and missed a pathology. There were some issues and controversies during the process of his referral, which caused delays in sending him to tertiary care. When he was finally transferred to Auckland, New Zealand he was diagnosed with inoperable carcinoma of stomach and he died six months later in NZ. He was not well enough to travel home. I was amazed at the wife and the mother who had faced three deaths in a row - she was so strong and she dealt with her grief with a real will, whilst taking care of the rest of the family- herself, her eldest daughter and the last born son. She had faced expected and unexpected death. She travelled twice to Auckland and spent precious time with her late son and late husband during the last days of their lives. She respected her husband’s wishes to get treatment with traditional medicine for his cancer, because he believed that it could heal him. He was in a denial stage. As the breadwinner of the family, he had a strong will that he must live on. His priority was his family. He did not want to leave his wife and two children. Even though his wife knew the reality-that her husband was living in his last days, she never argued or went against his wishes. 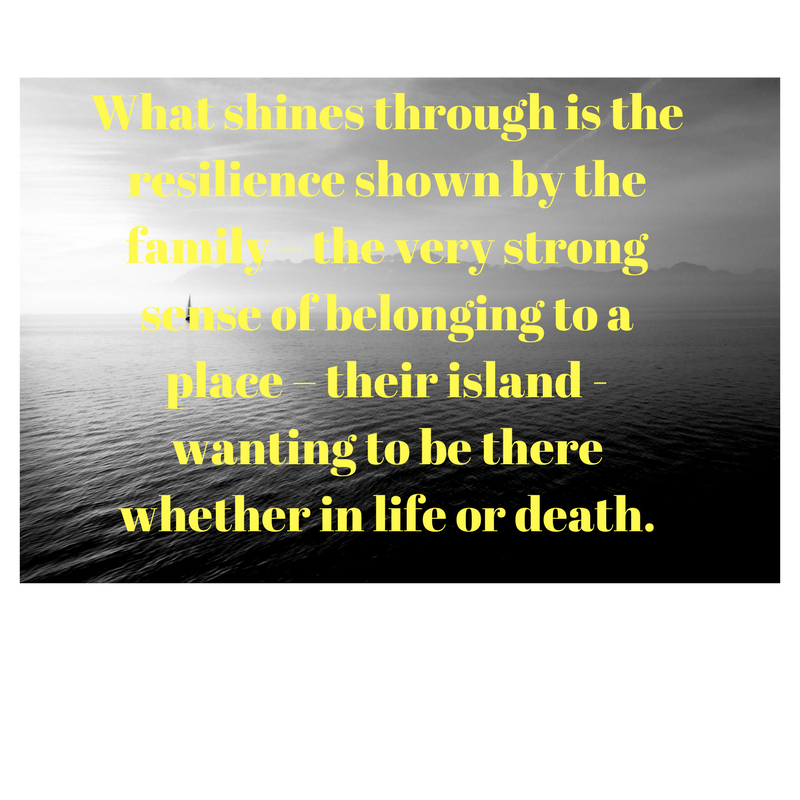 The small community of Cook Islanders based in Auckland, gave her and the family help and support in different ways; psychological, spiritual and financial, during her difficult times. His family accompanied his body back to his home island where he was buried close to his ancestors and his daughter. When I look back at her story, some questions arose in my mind; would there have been any difference in survival and prognosis of this man and his son if they had lived in a big city with specialist care and advanced modern medical technology? Would the man have survived if the referral had been done more urgently? Is this an example of the health inequality/disparity for people living in rural remote areas? If it is so, could there have been a huge difference to this woman’s life? 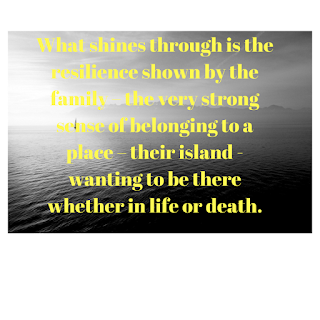 What shines through is the resilience shown by the family – the very strong sense of belonging to a place – their island - wanting to be there whether in life or death. This love of their home and their people is perhaps the most important. My name is Nini. I live in the Cook Islands, a small Island Nation in the Pacific. My work is in the Outpatient and Emergency Department at Rarotonga Hospital. Rarotonga is the main island of the Cook Islands. Prior to that, I worked in a small hospital on one of the Outer Islands which provides primary health care for the local community. Currently I am working in a rural hospital in NZ to complete the two six-months placement as a part of the newly established Cook Islands General Practice Training Programme. This programme started in 2014 and was developed by the Cook Islands Ministry of Health in partnership with the University of Otago and the RNZCGP. Before this doctors in the Cook Islands had no Family Practice training pathway." My story is based on a social and cultural concept on death and dying in rural and remote community – from the time I was working on the Outer Island.